LUNCH IS SERVED BETWEEN 11 A.M. AND 3 P.M.
Fresh avocado mashed together with cilantro, onions, lime juice and salt. Large corn tortilla chips topped with beans, cheese, pico de gallo, black olives, guacamole, sour cream, and your choice of meat or mixed veggies. Fresh sauteed spinach served on a hot iron skillet over a bed of melted monterey cheese. Grilled mexican sausage served on a hot iron skillet over a bed of grilled pepper, onions, and melted cheese. served with flour tortillas. Fried squid, served with our homemade hot chipotle sauce. Flour tortilla folded over, filled with cheese and stuffed with your choice of meat, mixed veggies or only cheese. A fried corn tortilla layered with refried beans, lettuce, tomato, onions, sour cream, salsa verde, avocado and grated cheese. Shrimp marinated in lime juice tossed with fresh cilantro, onions, tomato, and fresh avocado. Hearty soup with chicken, mixed veggies, cotija cheese, and fresh avocado in chicken broth, topped with tortilla strips and tomato sauce. Black beans soup made with onions, and a dollop of sour cream. Chicken or beef burrito, topped with mild red sauce and monterey cheese. Served with choice of french fries or rice and beans. Choice of: Chicken or beef nachos. Served with choice of french fries or rice and beans. Flour tortilla folded over, filled with cheese, and stuffed with your choice of chicken, beef, or all cheese. Served with choice of rice and beans or french fries. 100% beef hot dog, wrapped in a flour tortilla. Served with choice of rice and beans, or french fries. Chicken or beef taco, with lettuce, tomato, and cheese. Served with choice of french fries or rice and beans. Crisp all white meat chicken tenders. Served with choice of rice and beans or french fries. Large tortilla stuffed with your choice of chicken, beef, pork, vegetables, or chorizo. Smothered in monterey cheese, and your choice of sauce. Grilled chicken, steak, pork, or seasoned veggies served on a hot iron skillet with grilled peppers and onions. Served with warm flour tortillas. Hard or soft shell tacos, with your choice of chicken, beef, ground beef, or pork tacos with chopped onions and fresh cilantro; or lettuce, cheese and tomatoes. Corn tortilla rolled around a filling, your choice of meat, mixed veggies, or all cheese. Topped with your choice of sauce, and monterey cheese. Spinach tortilla, stuffed with chicken, mushrooms, avocado, spinach, zucchini and tomato; Topped with chipotle cream sauce. Spinach flour tortilla stuffed with your choice of chicken, beef, pork, vegetables, or chorizo with peppers, onions, spinach, and fresh avocado. Deep fried and covered in monterey cheese, and your choice of sauce. Chicken filled tortillas crisp-fried and topped with sour cream, lettuce, cotija cheese, avocado, onions tomato and salsa verde. Flour tortilla folded over, filled with monterey cheese and stuffed with your choice of meat, mixed veggies or all cheese. Large flour tortilla stuffed with chicken and beef, lettuce, tomato, avocado, refried beans. Served with monterey cheese, and your choice of sauce. Large flour tortilla stuffed with your choice of chicken, beef, pork, vegetables, or chorizo. Deep fried and covered in monterey cheese, and your choice of sauce. Spinach flour tortilla folded over, filled with monterey cheese and stuffed with chicken. Bacon, spinach, and garden fresh tomato. Two choices of grilled chicken, steak, pork, veggies served on a hot iron skillet with grilled peppers and onions. Served with warm flour tortilla’s. Soft shell tacos with grilled filet of tilapia, grilled tomato, chopped onions, cilantro and your choice of sauce on the side. Corn dough masa, wrapped in corn husks and filled with chicken, steamed until firm. Topped with salsa verde and monterey cheese. 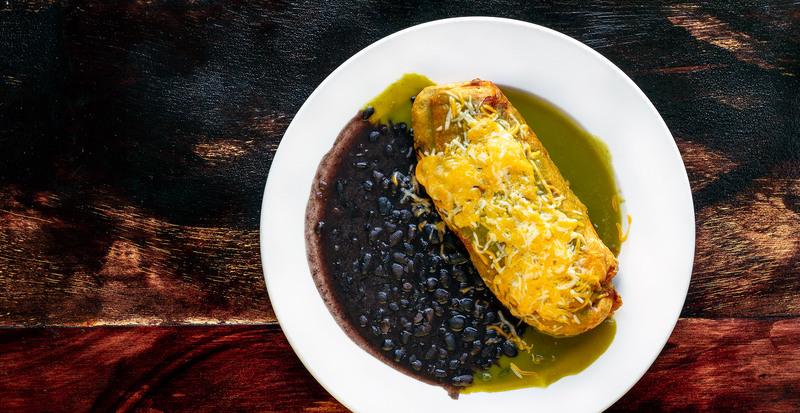 Fresh roasted poblano pepper, filled with cheese, and dipped in an egg batter, fried till crispy, and then topped with ranchera sauce and monterey cheese. Boneless chicken breast sauteed with artichoke hearts mushrooms, sun dried tomatoes and demy glace sauce. Boneless chicken breast sauteed with fresh garlic cilantro, onions, and green tomatillo sauce. Boneless chicken breast, sauteed with our homemade mole, and sesame seeds. Boneless chicken breast and jumbo shrimp sauteed with fresh tomato, garlic, lime juice, white wine, and artichoke hearts served over sauteed spinach and topped with white swiss. Boneless chicken breast stuffed with peppers, onions, fresh avocado, rice, and chorizo. Topped with Jalapeño Cream sauce. Boneless chicken breast sauteed with garlic, tomato, lime juice, and golden tequila sauce. Boneless chicken breast, sauteed with fresh tomato, onions, jalapeño peppers and white wine. Boneless chicken breast and jumbo shrimp sauteed with peppers, onions, and our hot chipotle sauce. Large tomato tortilla stuffed with shrimp, scallops, crab meat, and mixed veggies. Topped off with our jalapeño cream sauce. Jumbo shrimp sauteed with garlic, olive oil, white wine, and hot red pepper sauce. Jumbo shrimp sautéed with fresh garlic, jalapeño peppers, onions, tomatoes and white wine. Jumbo shrimp sauteed with capers, onions, cilantro, green peppers, and white wine sauce. Corn tortillas rolled with shrimp, topped off with our homemade Mole sauce and sesame seeds. Grilled filet of salmon and jumbo shrimp sauteed with onions, peppers, white wine, and our homemade hot chipotle sauce. Jumbo shrimp sauteed with artichoke hearts, sun dried tomatoes, poblano peppers, ham, white wine, and garlic sauce. Jumbo shrimp, sauteed with poblano peppers, onions tomatoes, bacon topped with monterey cheese. Fresh tilapia filet, jumbo shrimp, and clams sauteed with garlic, fresh tomatoes, lime juice and golden tequila sauce. A large tomato tortilla stuffed with shrimp, real crab meat, spinach, and fresh tomato. Jumbo shrimp sauteed with fresh garlic, butter, and white wine. Fresh roasted poblano pepper, filled with cheese, and dipped in an egg batter, fried till crispy, accompanied corn tortillas rolled around your choice of filling topped and with your choice of sauce and monterey cheese. A chicken corn tortilla rolled over accompanied by a mushrooms, spinach, and tomato quesadilla topped off with your choice of sauce and monterey cheese. A large flour tortilla stuffed with your choice of chicken, beef, pork, vegetables, or chorizo deep fried and accompanied by a hard or soft shell taco. A large flour tortilla stuffed with your choice of chicken, beef, pork, vegetables, or chorizo accompanied by a steamed chicken tamal and topped with your choice of sauce and monterey cheese. 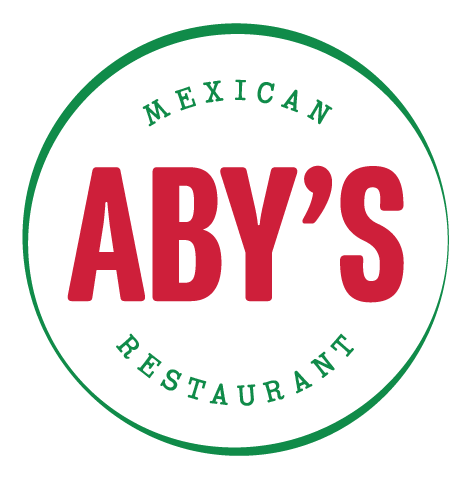 A fresh roasted poblano pepper filled with cheese and dipped in an egg batter, fried till crispy accompanied by a large flour tortilla stuffed with your choice of chicken, beef, pork, vegetables, or chorizo topped with your choice of sauce and monterey cheese. Large flour tortilla stuffed with your choice of chicken,beef, pork, vegetables, or chorizo accompanied by chicken filled tortillas crisp-fried topped with sour cream, lettuce, cotija cheese, avocado, onions, tomato and your choice of sauce. A large flour tortilla stuffed with your choice of chicken, beef, pork, vegetables, or chorizo accompanied by a deep fried burrito and topped with your choice of sauce. Corn tortillas rolled over your choice of meat, cheese, or veggies accompanied by a steamed chicken tamal topped with your choice of sauce and monterey cheese. A large flour tortilla stuffed with your choice of chicken, beef, pork, vegetables, or chorizo deep fried and a steamed chicken tamal and topped with your choice of sauce and monterey cheese. Vegetarian combo (broccoli, cauliflower, carrots, and zucchini), topped with Monterey cheese and your choice of sauce. *Special Desserts. Inquire for availability. A mild red sauce made with chicken base, and mixed vegetables. Medium spice sauce with green tomatillo, fresh cilantro, onions, and Jalapeño peppers. Spicy sauce made with sun dried hot arbol peppers, fresh cilantro, onions and jalapeño peppers. Medium spice sauce made with fresh avocado, jalapeño peppers, cilantro, onions, garlic, and green tomatillo. Spicy sauce made with hot chipotle peppers. Smokey medium sauce, made with chipotle peppers, butter, and heavy cream. Medium spice sauce, made with jalapeño peppers, butter, and heavy cream. Medium sauce made with a chocolate base, walnuts, bananas and sun dried peppers.